Goldkist Beach Resort hotel Singapore | Low rates. No booking fees. The Island Resort is located on the sunny east coast of Singapore. The tourists north to enter a world of recreation and relaxation, away from the bustle of the city. The Island Resort has a convenient location in a quiet and protected nature reserve. 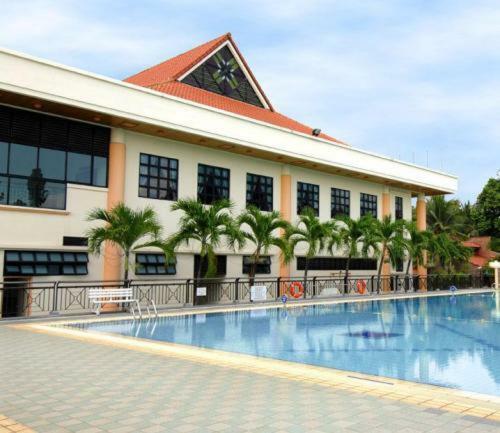 Book a room at Goldkist Beach Resort hotel Singapore online and save money. Best price guaranteed! Goldkist Beach Resort hotel Singapore: low rates, no booking fees. Maplandia.com in partnership with Booking.com offers highly competitive rates for all types of hotels in Singapore, from affordable family hotels to the most luxurious ones. Booking.com, being established in 1996, is longtime Europe’s leader in online hotel reservations. Many photos and unbiased hotel reviews written by real guests are provided to help you make your booking decision. Luxury hotels (including 5 star hotels and 4 star hotels) and cheap Singapore hotels (with best discount rates and up-to-date hotel deals) are both available in separate lists. Always bear in mind that with Maplandia.com and Booking.com the best price is guaranteed! The hotel is located at 1110 East Coast Parkway (Near Carpark D3) in Singapore, Singapore, Singapore – see Singapore map ». Hotels in the neighbourhood of the Goldkist Beach Resort hotel Singapore are sorted by the distance from this hotel. In the following list, large airports nearest to Goldkist Beach Resort hotel Singapore are sorted by the approximate distance from the hotel to the airport. Airports near to Goldkist Beach Resort hotel Singapore, not listed above. In the following list, car rental offices nearest to Goldkist Beach Resort hotel Singapore are sorted by the approximate distance from the hotel. The following list shows places and landmarks nearest to Goldkist Beach Resort hotel Singapore sorted by the distance from the hotel to the centre of the listed place.